"I approached the couple and asked, 'You know that isn't a dog, right?'" 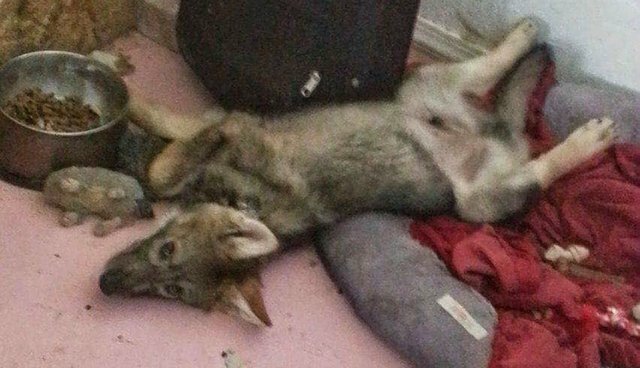 "Free puppy," the sign said on the house in Tucson, Arizona. A young man noticed the sign and knocked on the door. When he saw the puppy's big amber eyes and alert ears, he fell in love - he knew the puppy was coming home with him. But the puppy - named Neo - turned out to be a handful. Neo was very nervous and skittish, and he'd pee and poop all over his new owner's car whenever he was driven somewhere. He also wanted his owner's company - and only his owner's company - all the time. While the owner was very happy to give Neo attention, he was also a full-time college student and worked a full-time job, so Neo was often left alone in the backyard. 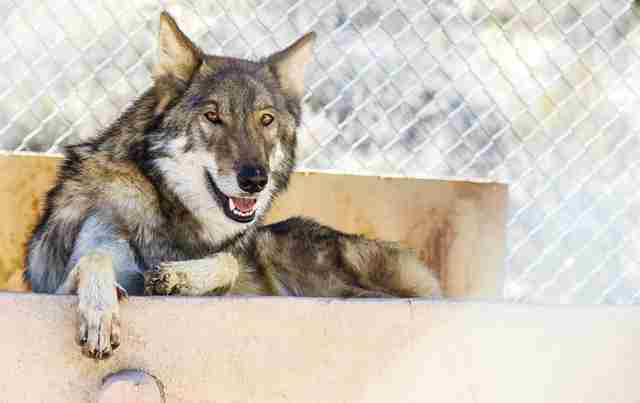 "According to his owner, Neo would dig out or jump the fence to play with the neighbors' dogs," Cate Salansky of Wolf Connection told The Dodo. "He built a higher fence to help contain him, but Neo chewed through it and continued to escape." 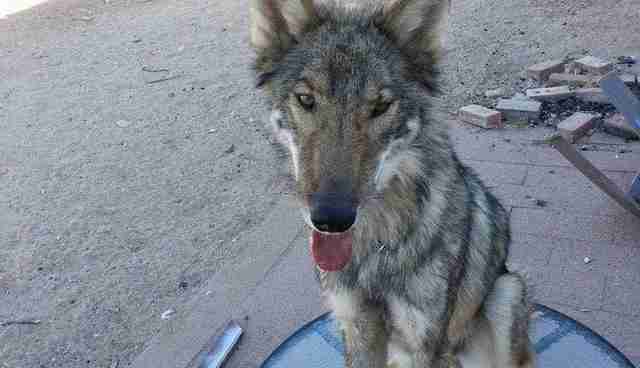 What the owner didn't realize was that Neo wasn't exactly a dog - he was what you'd consider a "high content" wolf dog. 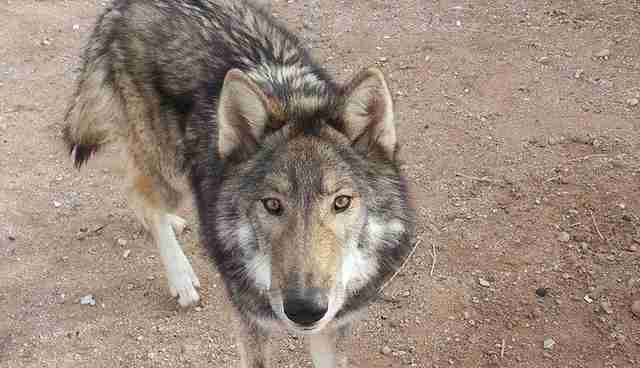 Neo had the physical markings of a wolf - amber eyes, coarse coat and a long, lanky body - but he also displayed behavioral characteristics of a wolf. Escaping to interact with the neighbors' dogs wasn't just a playful puppy trait - it came down to Neo's urge to find his pack. The neighbors were initially gracious about Neo's surprise visits. They'd take him into their house, but Neo wasn't interested in interacting with people besides his owner - he'd avoid eye contact and cower in their bathroom. Neo also wasn't interested in the treats the neighbors offered him, which most dogs are crazy about. After Neo appeared in the neighbors' yard for the umpteenth time, they'd had enough. 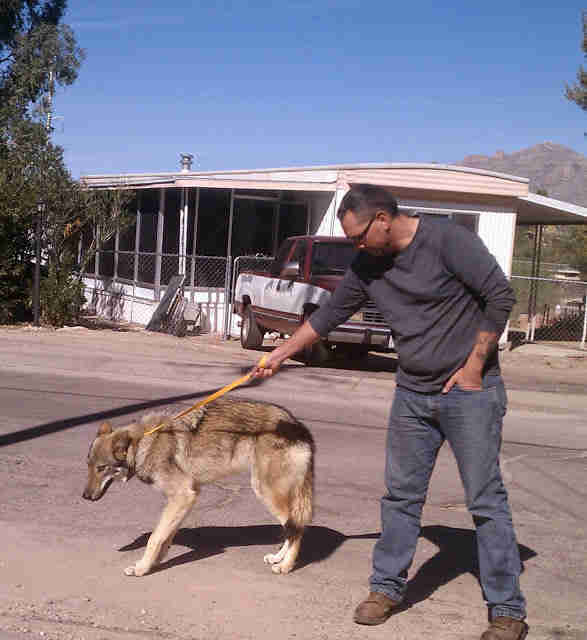 They drove Neo to a shelter at the Humane Society of Southern Arizona to see if they'd hold onto him until a solution could be worked out with the owner. Maureen O'Nell, the former CEO of the Humane Society of Southern Arizona, remembers Neo's arrival. "One morning, before our animal welfare campus opened to the public, I was outside with another staff member," O'Nell told The Dodo. "I saw a couple walking a long-legged canine to the front door. It wasn't his body composition that made me notice, but his behavior. Neo was completely avoidant of human interaction. The couple walking him seemed, as best as I can describe it, perplexed." O'Nell soon realized this wasn't going to be a typical drop-off. "I approached the couple and asked, 'You know that isn't a dog, right?'" O'Nell said. "They responded, 'we were wondering.'" 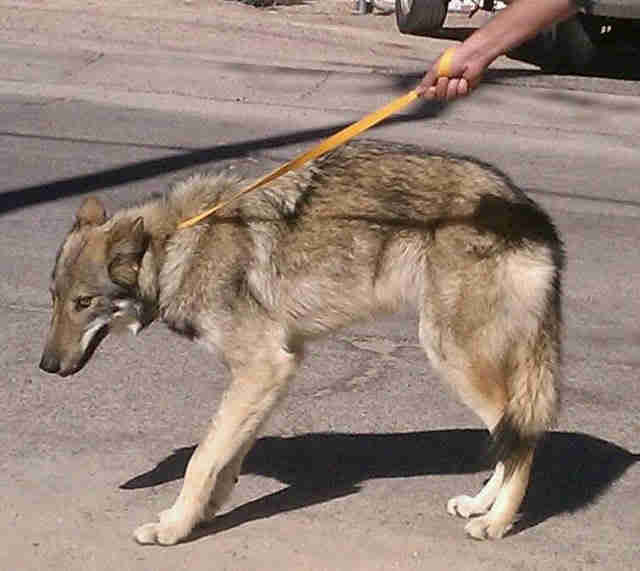 O'Nell quickly researched the laws in Arizona regarding wolf dog ownership. 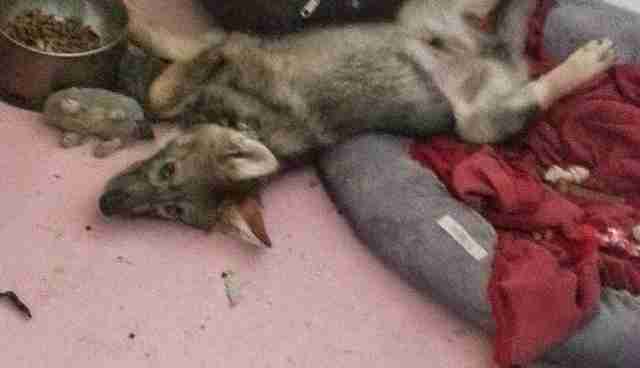 Unless you're a Native American, or you have a special permit, you can't own a wolf dog in the state. If the shelter accepted Neo, they might be under a legal obligation to report him to the authorities. 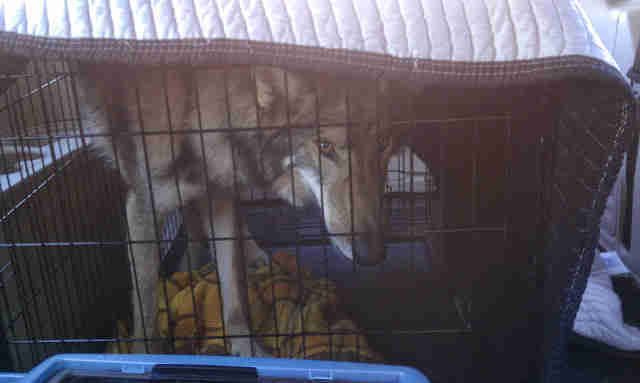 O'Nell got in touch with Wolf Connection, a wolf dog rescue center and sanctuary in California, and asked if they'd take Neo - they said they would. Then O'Nell got in touch with the original owner and asked what he'd like to do. Ultimately, he agreed that Neo should go to the sanctuary. "I told him I was proud of his decision," O'Nell said. 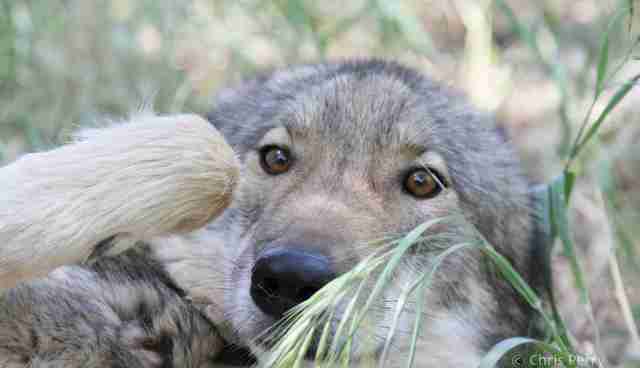 "His boy had a wonderful life ahead of him at Wolf Connection." Neo was in excellent physical condition when he arrived at the sanctuary, but the staff initially kept him isolated until the vet could give him medical clearance. At least, they tried to keep Neo isolated. 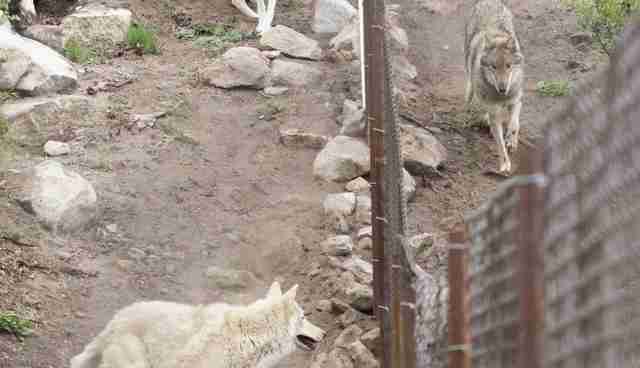 "Neo decided that he didn't like being kept so far away from the rest of the pack, off in the isolated area of the compound," Salansky said, "so he escaped the isolation kennel and went straight to the habitat of Wolf Connection's alpha female, Maya." On the first night, Neo also joined the "nightly howl" that occurs as the pack care team gets ready to leave the sanctuary each day. "He didn't wait to see where he fit in with the pack," O'Nell said. "He knew he belonged." Neo had finally found his pack. 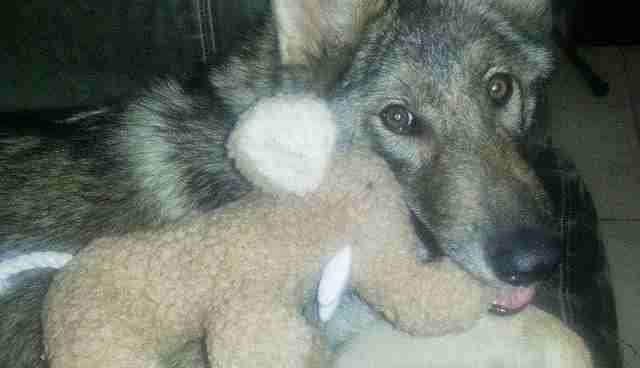 In many U.S. states, it's either illegal to keep a wolf dog, or there are strict regulations, so make sure you don't accidentally get a wolf dog as Neo's owner did! If you're not sure if a dog is a wolf dog, look for physical traits like fur covering the inside of the ears and entire belly area, black claws, and diamond-shaped scent glands on the tail. That said, wolf dogs don't need to look exactly like a wolf to be considered a wolf dog - their wolf-like traits might be more behavioral. Like Neo, they might avoid new people and have excellent escape skills. 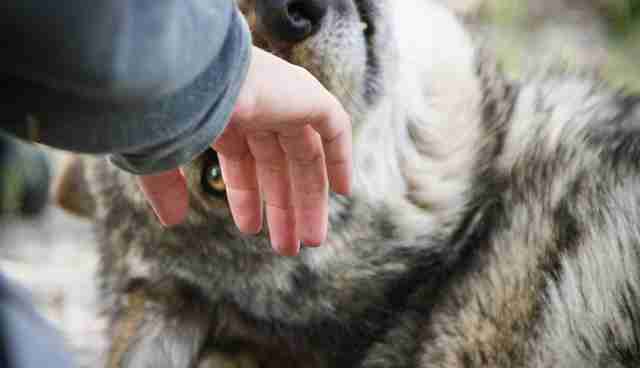 For those who purposely seek out a wolf dog, Giulia Cappelli, the Lead of Programs at Wolf Connection, has this to say: "My advice would be 'check your ego.' Why do you want to have an animal that probably doesn't belong in a home? 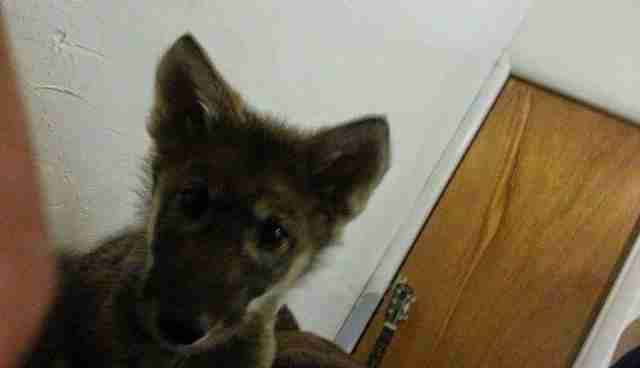 The reason why more than 70 percent of all wolf dogs in the U.S. are euthanized on a yearly basis is because of the ego of people who want to own a wolf. No matter how good their intentions are, it doesn't end well in most cases." 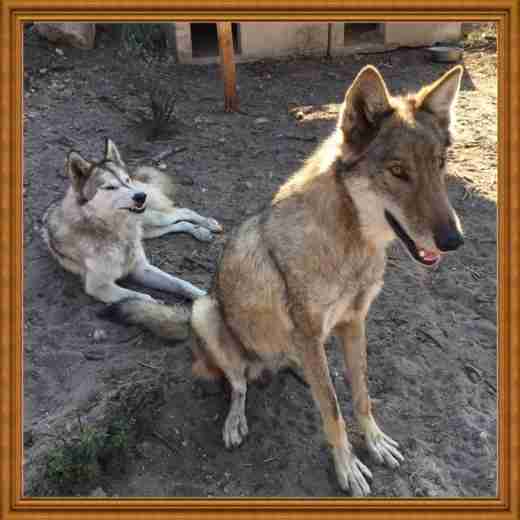 Wolf Connection has rescued over 50 wolf dogs of varying content over the past seven years and has given them sanctuary, love and an extremely enriching quality of life. 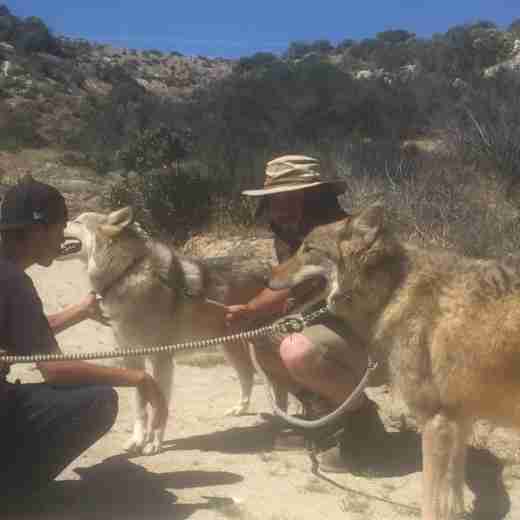 To support Wolf Connection's continuing rescue efforts and care of their rescued pack, you can donate here.